Samurai was previously known as Web. Web released three albums, Fully Interlocking (1968), Theraphosa Blondi (1970), and I Spider (1970). The first two featured American singer John L. Watson, and were released on Deram. I Spider was released on Polydor and Watson was replaced by future Greenslade vocalist/keyboardist Dave Lawson. The Deram albums are said to be more pop/psychedelic offerings, but I've not heard them (a little hard to come by and apparently neither reissued on CD). I Spider is considered the best and where Web's reputation in progressive rock circles rests on. But for some odd reason, when Tom Harris left and they brought in two new wind players, Tony Roberts and Don Fay, they were now called Samurai. Legal reasons? Did Tom Harris have the rights to the Web name? I really can't say, since finding info on bands like this is often very difficult to come by. Once Web became Samurai, the band was no longer recording for Polydor, but for a far more obscure label, Greenwich. Finding an original LP these days, of course, is practically, forget it, find the CD reissue (Akarma in Italy had most recently reissued it). Honestly I really think Samurai is by and far the finest album Dave Lawson ever played in. I even highly recommend this to those who aren't much for Greenslade. Greenslade's music could end up as cheesy at times to some listeners, Samurai avoided all of Greenslade's cheesy-tendencies. Let's not forget Dave Lawson's voice. On those Greenslade albums his singing was often high pitched and strained, here he has a much more pleasant voice in Samurai which really fits the style of music just great. I'm sure you might detect some of that future Greenslade, but you don't have Dave Greenslade's keyboard style, and you also get treated with vibraphone and various wind instruments (saxes, mainly) and nice organ work throughout. 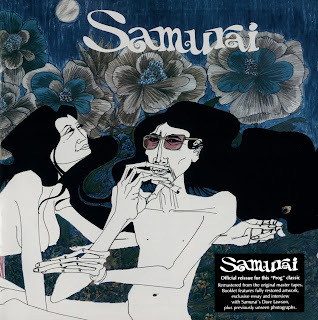 This is early '70s, where many progressive rock bands were still making song-based material, and Samurai was one of them. In fact, I really think the reason progressive rock got such a bad reputation later on was many people felt too many bands abandoned writing great songs in place of showing off their instrumental abilities and how complex they can make their music. I really think this group could've ended up being better known were it not for the label they were on. It's hard for me to describe the album on a song to song basis, but I'll pick out some of my favorites. "More Rain" is a nice, laid-back piece with nice use of flute. I really like the acoustic passages too. I get reminded a bit of Jade Warrior here. "Maudie James" and "Holy Padlock" are just plain great catchy songs, while "Give a Little Love" has a more aggressive edge. I really like the sax and organ work. "Face in the Mirror" is one of those songs that really grew on me big time, I really like the mellow nature of this song. "As I Dried the Tears Away" is a wonderful, epic closing piece with some great creative passages to go with it. 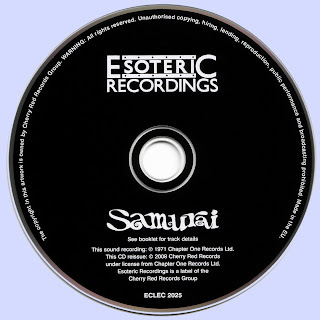 Samurai broke up after this album. No surprise given they recorded for such a short-lived and obscure label as Greenwich, and probably no longer had the finances to continue one. But that didn't stop Dave Lawson. Ex-Colosseum members Dave Greenslade and Tony Reeves, with ex-King Crimson and Fields drummer Andy McCulloch brought in Dave Lawson to form Greenslade, who managed four albums between 1973 and 1975, before throwing in the towel at the right time (just right before punk rock came in). Samurai is truly another great, lost gem of early British progressive rock. I really like the jazzy feel that goes with it, and this is one progressive rock album you can't call "pretentious" (and we all know every prog rock detractor out there calls this kind of music "pretentious"). It's nothing but a collection of great songs with interesting use of instruments (organ, wind instruments, and the way the vibraphone is integrated in the music, rather than using it during jazzy solos like many other bands did at the time). I really highly recommend this album! Do you, by any chance, have the 2000 Progressive Line edition of this album? 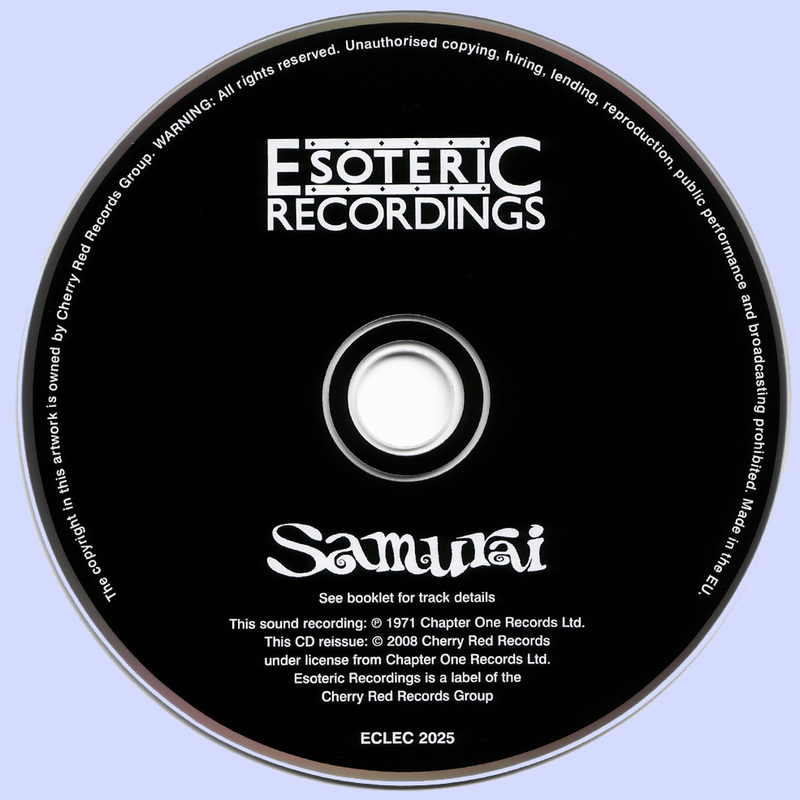 It has several live bonus tracks (I wonder why Esoteric did not include them in the first place). I have a mp3 copy for some time, but wish to upgrade.